Improve facility infrastructure with annual equipment acquisitions and upgrades. Director Stacey Neff will act as an artist liaison to schedule production and help determine the glass methods, production design, and facilitators best suited to the individual work. Neff has exhibited her art internationally and received awards including a Pollack Krasner Grant and Bellinger Sculpture Award for her innovative use of the glass media. From 1995—2000 Neff served as vice president of The Glass Improvement Company, specializing in the creation of production glassware from post-consumer recycled materials. 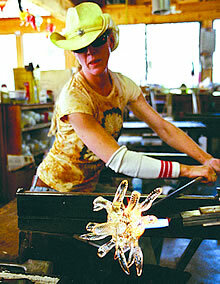 Facilitators Each facilitator is an established glass artist and production professional. 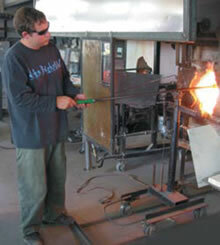 Began glass working at Pendland School of Glass in 1978.
in over 30 glass workshops.